LeafHouse Financial (“LeafHouse”) begins a new chapter of company growth and development with the launch of a new brand identity. The visual refresh is an outward expression of LeafHouse's continual commitment to revitalization within the retirement space. The LeafHouse solution integrates technology and industry knowledge to provide a layer of protection to plan sponsors. 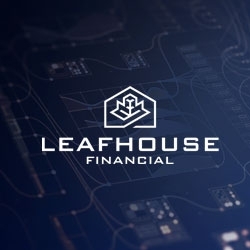 Austin, TX, March 26, 2019 --(PR.com)-- LeafHouse Financial (“LeafHouse”) begins a new chapter of company growth and development with the launch of a new brand identity. The visual refresh is an outward expression of LeafHouse's continual commitment to revitalization within the retirement space. As part of the rollout of the updated identity, the new website leverages a strategic blend of traditional and technical methodologies. While industry knowledge and experience will always be pillars of the LeafHouse solution, the new brand identity reflects its pursuit of innovation and progress since it was established in 2009. LeafHouse is a client‐centered fiduciary that aims to avoid the conflicts of interest endemic in the retirement plan industry. As retirement plans and their service providers adapt to increased scrutiny and capital market conditions, the firm seeks to provide the maximum protection, increased investment oversight, and takes on associated investment work. The refreshed identity reflects LeafHouse’s history of technical leadership and quality service while looking forward to strategic growth and embracing new opportunities. The firm continuously invests in discovering new methods and developing proprietary technology seeking to maximize the efficacy of its solutions. This allows its team to concentrate on core competencies and operate in an agile way. LeafHouse is the Flexible Fiduciary™. The LeafHouse solution integrates technology and industry knowledge to provide a layer of protection to plan sponsors. Their objective is to deliver quality investment services that incorporate fiduciary management principles and Employee Retirement Income and Securities Act (ERISA) best practices.